B. australis, which is properly revered as one of the great backbone plants available to American gardeners. It is a tall (3-4′), rugged character whose intense blue flowers appear in June above handsome, gray-green leaves that remain an attractive feature of the garden all summer. Bloom is followed by prominent dark seedpods that complement the foliage. Plants look well on their own against walls and fences, or combined with Peonies, Bearded Iris, Poppies, and other June bloomers in a border. Baptisia genus of about 35 species of North American perennials. In full sun (required even in the South) and well-drained soil, plants are extremely long lived. They can hardly be pried out of the garden once established. For more information on growing Baptisia, click Growing Guide. Planted this flower about five years ago in our clay soil. The rabbits immediately ate it down to the ground. I thought it was gone so I planted cone flowers there. Low and behold this past summer (2014) it popped up about three feet tall covered in gorgeous blue flowers followed by huge seed pods and it had spread! Was very much looking forward to these flowers, but all 3 of my plants died. Very disappointing. Will see if they maybe somehow come back next year. Hardy plants -- lovely foliage. We ordered two of these plants last year and planted them in a sunny, neglected spot in the yard. They were instantly trampled on (though not eaten) by the local deer population, which had been using that spot as a path, the leaves fell off, and we left them for dead. Much to our surprise, this spring both plants came back, and they are doing well. They are still both small (one, in a slightly shadier spot, is about 4" tall; the other in full sun is about 10" tall) and it's unclear whether they'll flower this year (ask again in June), but the stems and foliage alone are quite attractive, and I am favorably impressed by the plants' tolerance of extended neglect and abuse. I was first attracted by the foliage when I saw it after flowers had disappeared. It contrasts beautifully with all that green. These substantial plants are very long-lived and vigorous. Initially a bit slow to establish, Baptisias are also tough and drought tolerant, requiring little maintenance. These members of the Pea family have lupine-like flowers ideal for cutting and are very hardy to zone 3. 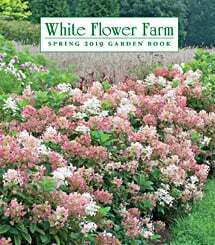 They grow three to four feet tall and as wide, with lovely blue-green foliage that stays healthy all summer, providing a perfect backdrop for later blooming perennial companions. Plant 18 to 30 inches apart, depending on variety. Light/Watering: Plants are at their best in full sun. They will tolerate some shade, but will then need staking. These plants are very drought-tolerant once established although evenly moist soil is always in a plant's best interest. Fertilizer/Soil and pH: Baptisia prefers slightly acidic soils, so do not add lime. Well-drained, deep, rich soil is best, although Baptisia does quite well in soils of low fertility. Fertilize in early spring with a balanced fertilizer with supplemental summer applications, or use a slow-release form. Pests/Diseases: Long-lived and healthy, Baptisias are generally free from insect pests and foliage diseases. Companions: Baptisias bloom along with Siberian Irises and Peonies in late spring to early summer. Their attractive foliage makes them an asset even when they are not in flower. Reflowering: Baptisias flower once in late spring and will not reflower if deadheaded, a practice which will also prevent the development of the attractive seedpods. Plants do look their best if cut back by one-third after flowering and shaped; this will eliminate any late-season floppiness. Dividing/Transplanting: These shrub-like plants are relatively slow growing and division is not needed for ten years or so. Because of deep taproots, transplanting is difficult but can be done successfully with careful efforts, especially while plants are still small. End-of-Season Care: The lovely foliage of Baptisia turns black with the first hard frost and the plants fall over by January, so cutting back close to the ground in late autumn during general cleanup is beneficial. Early Spring: Apply a light application of balanced or slow-release fertilizer or side-dress with compost and organic amendments when new growth appears. Supplement nitrogen during periods of prolonged rain to counter natural leaching. Water well if it is unseasonably dry, as plants prefer evenly moist soil. Mulch if desired. Mid-Spring: Plants grown in part shade will need support. Train foliage through Peony rings or tie to sturdy stakes. Summer: Pinch off dead flowers if development of seedpods is not desired. Groom plants by removing yellowing or dead leaves. Plants can be cut back by one-third and shaped now for most attractive habit through the rest of the growing season. Fall: Cut foliage back right above soil level.